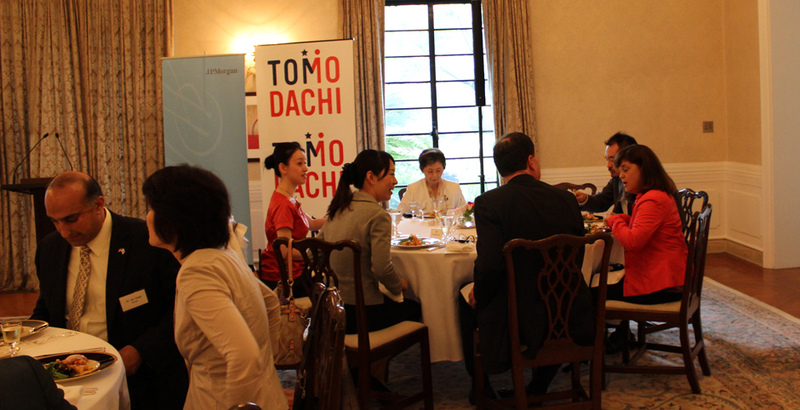 On June 21st 2013, the U.S. Embassy in Tokyo held a lunch reception at the Ambassador’s Residence to celebrate the launch of the TOMODACHI NGO Leadership Program supported by J.P. Morgan. Ambassador John V. Roos and his wife hosted the event and welcomed distinguished guests that included Senior Country Official Steve Rinoie of J.P. Morgan, Chairman of the Japan Philanthropy Committee Simon Walls of J.P. Morgan, Mr. Yasuhisa Shiozaki of the House of Representatives, Director of the Second North America Division Tetsuya Otsuru of the Ministry of Foreign Affairs, and Mme. 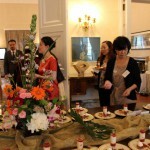 Sadako Ogata of Japan International Cooperation Agency and Special Advisor to the President. 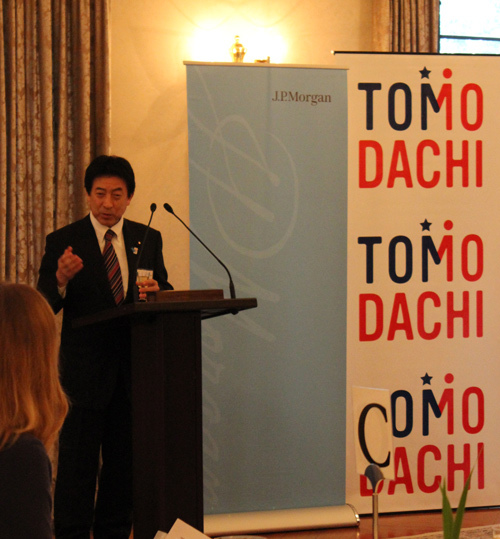 Yasuhisa Shiozaki, Member of the House of Representatives, gave the toast in which he said that TOMODACHI is an integral part of the future of US-Japan relations, especially in the NGO community because of the creation of this program. 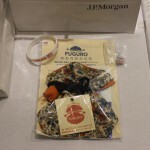 The TOMODACHI NGO Leadership Program supported by J.P. Morgan aims to create a stronger, more vibrant and active Japanese NGO community better prepared to work alongside international partners for effective disaster response through a series of short-term exchanges and workshops that promote idea exchange and practical training between U.S. and Japanese NGO leaders. In May 2013, the US delegation – composed of ten leaders in the NGO community from Japan – went to Washington DC to participate in the InterAction Forum where they met with key actors from the U.S. NGO sector who respond to disasters in the United States and abroad: USAID, Federal Emergency Management Agency, the U.S. Office of Foreign Disaster Assistance, among others. In September, a dozen Japanese NGOs will be participating in a joint training program with a dozen American counterparts in Portland, OR. Japan Platform is currently creating a training curriculum that will be unveiled in the winter when a series of training exercises focused on Training-of-Trainers will allow the NGO community to begin working on a larger scale to develop NGO capacity building for more effective disaster response.